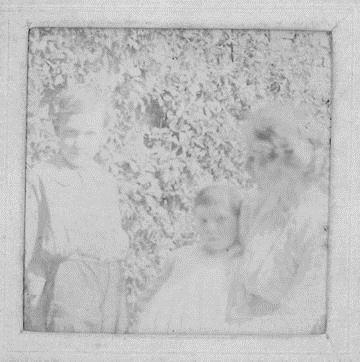 4 August 1914, the day that Britain declared war on Germany, was also the fifteenth birthday of Amyas Sampson (see photo, left, seated with his mother and brother). Amyas was the younger son of John Sampson (1869-1931), Librarian of the University of Liverpool. On 8 August 1918 Amyas, by then a Lieutenant in the Royal Flying Corps, was reported ‘missing in action’. He was never seen or heard of again. His elder brother Michael (b. 1889), invalided out four times, returned safely with a Military Cross and bar. 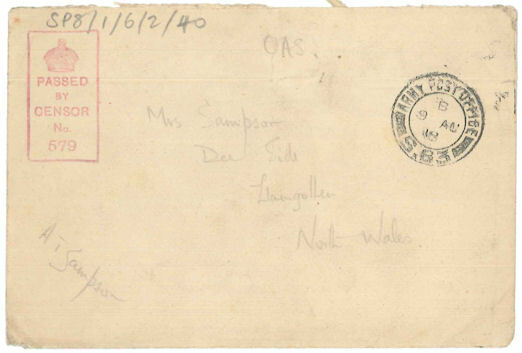 The John Sampson archive at the University of Liverpool contains correspondence between the brothers and their parents. Many of John Sampson’s frequent letters to his wife at the family home in Wales were written in the Tate Library, now part of the University’s Victoria Gallery & Museum. One file in the archive contains letters from Amyas: postcards he sent as a child; letters from Beaconfield School, near Runcorn; letters from Canada (where he worked at the Merchant’s Bank of Canada in Ontario until he was eligible for military service in August 1917); letters from his training for the Royal Flying Corps in Toronto and Texas; and a telegram announcing his posting to France in May 1918. In August 1915, Amyas was on holiday in Edinburgh. He reports on his journey: ‘I did not feel inclined for sleep. Grannie and Grandpa seemed to sleep alright. The train had been so full of soldiers, who were sprawling everywhere, that we were forced to travel in a first-class carriage which we had all to ourselves.’ John Sampson’s 1915 letters are full of Michael’s war service in France, the anti-German sentiment in Liverpool, and the reported ‘extermination’ of the Liverpool Scottish regiment. 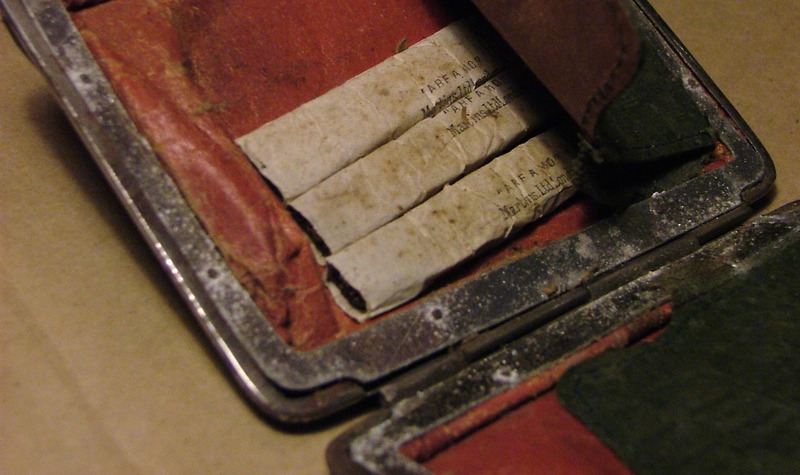 In October 1916, Amyas wrote to his mother: ‘I have a safety razor. I thought it would save me a lot if I got one, so I do shave myself. Up till now the ceremony has been only a monthly one.’ In contrast, his father’s letters of 1916 include war news from Michael, who was injured in the battle of the Somme. 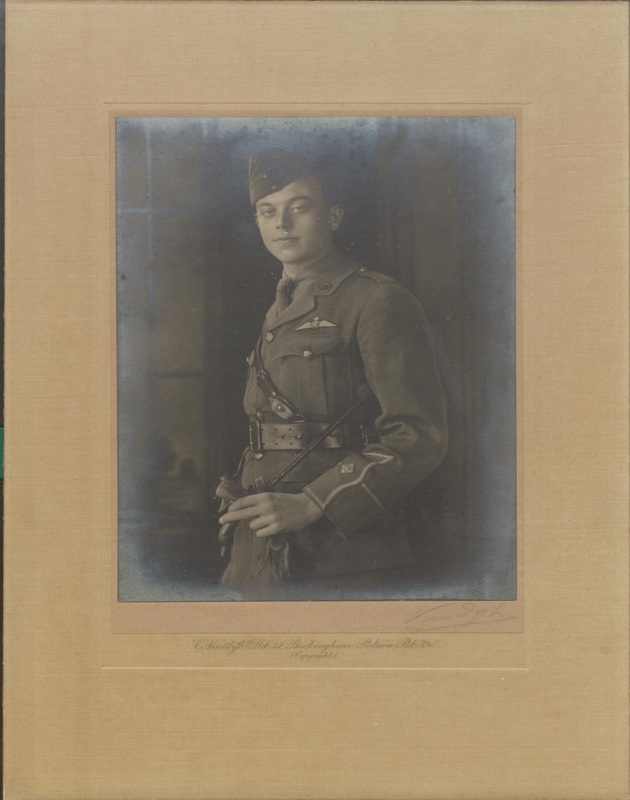 His father’s letters in 1917 carry war news from his both his sons, Michael in the army and Amyas, from August a cadet in the Royal Flying Corps in Canada. 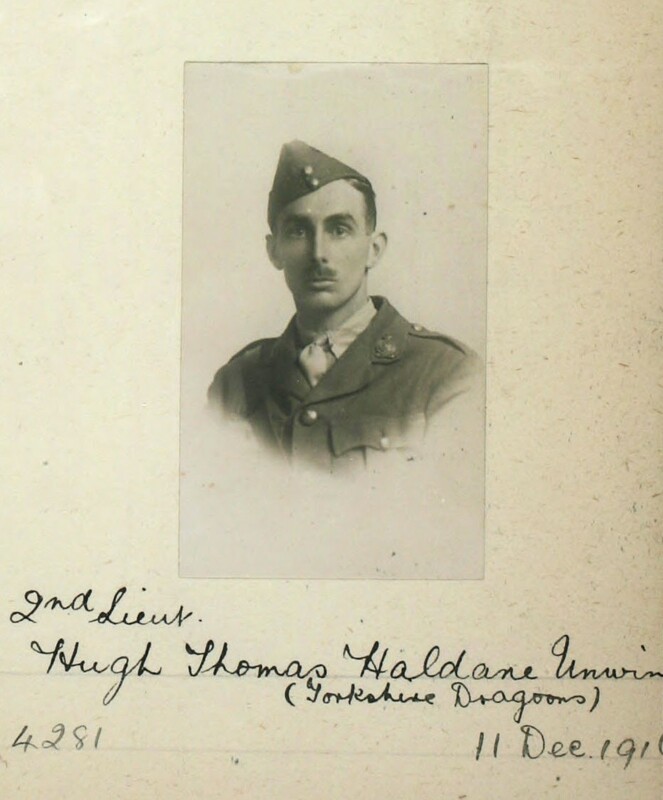 His father’s letters of 1918 carry news of Michael’s Military Cross, his first sighting of an aeroplane over Liverpool Cathedral, and his anxiety about Amyas, then missing in action. Sampson has convinced himself that Amyas is a German prisoner of war. In 1919, his letters comment on the Spanish flu epidemic and the strikes (and increasing motor traffic) in Liverpool. There is no news of Amyas. Amyas Terrell Sampson, b. 1899, Lieutenant, Royal Flying Corps d. 1918? and Michael Trevisky Sampson, b. 1889, Temporary Captain, Lieutenant, then Temporary Major, King’s Royal Rifle Corps, d. 1959, are the sons of John Sampson, University Librarian (1869-1931) and Jessie Margaret Sprunt. 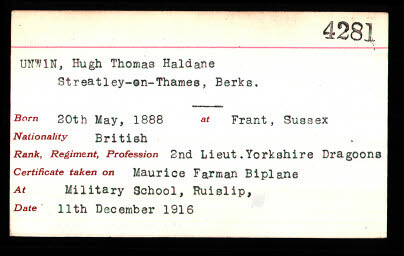 This profile was submitted by Katy Hooper, Special Collections and Archives, University of Liverpool, and is based on material from the University Archive. John Sampson’s archive can be searched via the website of the Special Collections & Archives, University of Liverpool Library. This entry was posted in Britain, British, Canada, King's Royal Rifle Corps, Military Cross, Royal Flying Corps, Soldier on September 4, 2014 by painetvin. 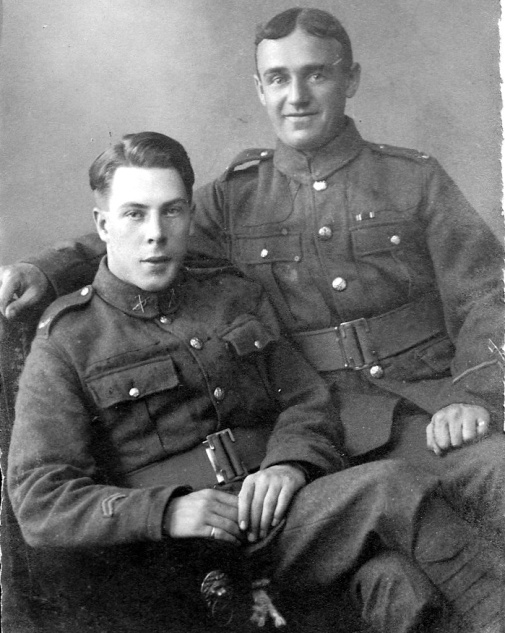 James Green (see photo, left) was my Great Uncle. When I was a small boy in the 1940s, and on into my teenage years, I regularly had contact with Uncle Jim whenever he visited his older brother Joseph, who was my maternal grandfather. Both men were not given to idle chatter, but they clearly derived much brotherly companionship while seated on each side of the coal fire burning in the old-fashioned black iron fireplace. I knew that my grandfather did not serve in the First World War, as he was in his late thirties in 1914. But I was quite unaware at the time that Uncle Jim had served in the army during the conflict. 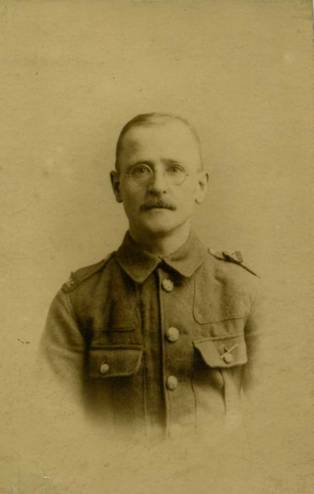 The recent revival of interest in the history of the First World War, particularly the personal stories, reminded me that I had inherited a collection of family photographs from my mother. I recalled that there were three pictures of Uncle Jim in uniform, but just what role he had was a mystery until I located the photos and took a close look at them. 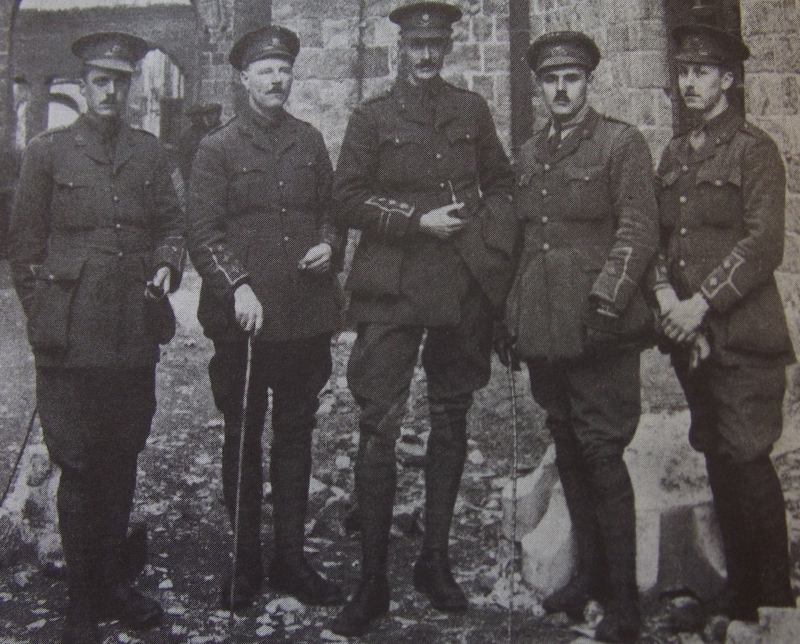 It is clear that he wore what has proven to be the uniform of the Royal Army Medical Corps (RAMC). Uncle Jim was a devout Baptist, and the discovery that he served with the RAMC entirely suited the gentle and caring man I knew him to be. I do not know whether this indicated that he was a conscientious objector, or whether he was able to opt for a non-combatant role due to his age (he was 34 in 1914). My mother never said anything to me to clarify his role and activities while serving with the Corps. But I know that serving in the RAMC was not a soft option for many, when they were required to venture unarmed into the front line and no man’s land to treat the wounded and recover the dead. Uncle Jim was a life-long bachelor, who worked in the cotton mills of Oldham after the war. Like many who have served in combat areas, he never to my knowledge expressed any thoughts or opinions based on his experiences. How I wish I had been old enough to ask questions. I wonder now if he would have revealed any details of his personal First World War. James Green (1881-1952), RAMC, is the relative of Ray Oliver, M.Eng. Electrical Engineering (1975). This entry was posted in British, Medical officer, Post-war story, RAMC, Survived on March 17, 2014 by painetvin.